Women's Action to Gain Economic Security (WAGES) is a non-profit organization in the California Bay Area that has been building cooperatives for over a decade. On a recent Friday morning, I had a chance to talk with WAGES' director, Hilary Abell, about the WAGES model of cooperative development and what WAGES has been doing to replicate cooperative success. WAGES was the creation of three community workers in the Bay Area. Based on their experience providing social services, they concluded that social aide was great, but to really change the lives of the Latina women they were serving, something needed to be done to offer the women more economic security. At about the same time they discovered a small democratic worker cooperative of professional house cleaners who had banded together to collectively market their services. This cooperative had struggled at times, but had survived in part due to services offered from another community non-profit. The combination of these observations gave them the idea for WAGES - a non-profit organization that would facilitate the creation of, and offer technical assistance to, worker cooperatives organized to offer economic security to low-wage women workers. WAGES was founded in 1995. Drawing on the community service experience of its founders, WAGES worked to build a recipe for cooperative success. According to Abell, these lessons, and the emergence of the WAGES cooperative model, came in three distinct phases. During the first phase, WAGES was primarily focused on the recruitment and education of potential worker-owners developing their first worker co-ops. 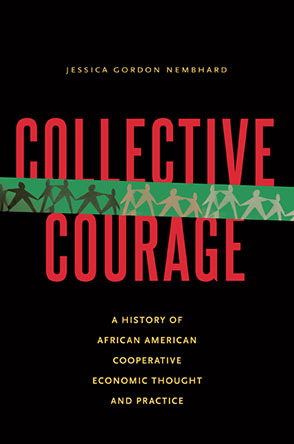 Before workers could be organized into cooperatives, potential members were recruited, educated about the benefits of cooperatives, and given the opportunity to, as Abell says, "learn together about co-ops, and to think about launching a business together. '"Only after the education was done did WAGES step in to offer technical assistance for a feasibility study and start up financing. Out of this education campaign and technical assistance strategy emerged the founding two cooperatives; a party supply store, and an eco-friendly house cleaning company. Unfortunately, after only a year and a half, the party supply store failed. WAGES learned an important lesson from this process- not all business ideas are equally feasible. The party supply store, for example, faced stiff retail competition and required a great deal of specialized expertise in retail marketing. The environmentally friendly house-cleaning cooperative, by comparison, needed relatively little technical expertise, had fewer barriers to enter the market, and offered a solid business model. This was an important lesson, and WAGES took it to heart, giving up on other business models to focus on expanding the proven business plan from the house-cleaners. WAGES' second phase, not surprisingly, focused on creating three additional house-cleaning cooperatives in different regions of the greater Bay Area. Two of these co-ops are still in business; the third was never started. These cooperatives were based on the successful business model and organized in the classic collective governance structure of a cooperative in which the worker-owners sit on the board of directors and democratically manage the company. However, according to Abell, this governance structure was problematic for the housecleaners for two reasons. For one, collective decision-making and participatory cooperative governance was not a high priority for the women in the house cleaning cooperatives. These women had busy lives and children waiting for them, and they were not interested in dedicating the requisite time to the smooth functioning of a collective democratic governance structure. They were committed to ownership, and making the business work, but they were more than willing to trade some voice in the management of the company for more time at home. Second, the governance structure provided an unclear role for the cooperative management. As part of the incubation process WAGES pays a manger to take care of daily operations at the cooperatives. These managers were given technical instructions by WAGES, but had no real authority because the Board of Directors of their respective co-ops also directed them. The result, as Abell describes, was to set up managers for failure because they had, "a lot of responsibility, but no authority." Consequently, the housecleaning co-ops changed their governance structure to a representative democracy. This model allowed those with the time and willingness to contribute to governance to step up, and to decrease the pressure on those members that could not commit to the daily governance of the cooperative. Moreover, the new governance structure clarified the position of the mangers in their relationship to both WAGES and their respective boards. From the first phase, WAGES learned to focus on a single business model that is appropriate to the skills of potential members and market feasibility of the region. From the second phase, WAGES learned to create a governance structure that was also appropriate to the time constraints of its members, and to create a relationship between WAGES and the individual coops that continued to offer assistance, but also clearly delimited the expectations of managers, owners, and WAGES staff. The primary accomplishment of the third phase of WAGES history was the launching of a third housecleaning co-op, the Natural Home Cleaning cooperative in 2003. Natural Home Cleaning now has 33 worker-owners, and in 2008 did $1 million in sales. Part of the success of this cooperative is its hybrid board of directors (chaired by Abell for the last 5 years) made up of both WAGES representative and cooperative members. The hybrid board has two advantages. First, it addresses the reality of the time constraints of cooperative members. Second, it gives the co-op ongoing access to WAGES technical expertise to sort out what Abell called the "business" concerns from the individual concerns. As she described, "it is hard for everybody to develop that discipline of separating their individual needs, or the problem that their friend is having, from the overall strategy that would make the most sense for the cooperative." Although Natural Home Cleaning was supported by WAGES for about four years, largely because it was the first under the new model, Abell says that the ideal incubation period is about 2 to 3 years. Based on their experience with Natural Home Cleaning, WAGES refined co-op development model has the following steps. The new model begins, as WAGES has always done, with recruitment and education. WAGES finds potential cooperative members through networks of community workers, social service agencies, and through its own educational outreach programs. Once potential members are identified, they are invited to apply for membership. And the education and training begins. Before WAGES opens a new cooperative, the members are expected to complete 150 hours of training, and contribute $400 in start up membership fees. The training hours and start up fee are often difficult for low-wage working mothers, but they function to eliminate the uncommitted, and to foster camaraderie among those who complete the process. Plus, Abell says, they find ways to help potential members save for the membership fee through training stipends, or through payroll deduction once the cooperative is up and running. One unique aspect of the refined model is the way in which WAGES mangers are integrated into the new co-op. Managers are initially paid by WAGES to help make the cooperative profitable. Once the cooperative is making enough money to pay its own management, WAGES takes that as the signal to end the incubation period. At that point, some of the cooperatives take the manager on as a worker owner, and others keep the manger in employee status, depending on the specifics of the case. The ongoing relationship between WAGES and its cooperatives, in the past, varied according to the needs and specifics of each case, but WAGES has always remained in tight contact with all the cooperatives. For example, WAGES has a seat on the board of directors of each cooperative and it is typical for each co-op to pay dues to WAGES for contractually stipulated services. As part of WAGES' third phase it is developing a cooperative network that will begin to standardize the post-incubation relationship between co-ops and WAGES. Beginning July 1st, each replicated cooperative will pay dues in return for development programs and technical assistance. The network will be underneath the WAGES organizational umbrella, but will focus on issues related to the ongoing maintenance of the cooperatives so WAGES can continue its work of cooperative development and replication. Another advantage of the network, is that it may begin to generate more stable financing for cooperatives development. WAGES has been financed in large part, about 75% according to Abell, by grants. As the number of cooperatives in the network grows, so does the dues income, some of which can be funneled back to WAGES to supplement the 25% of its budget that has come from dues and program fees in the past. WAGES seems to be doing well regardless of the rest of the economy. Just a month ago it spun off another brand new cooperative, Home Green Home, an eco-friendly home cleaning service in San Francisco, which brings the list of phase three cooperatives to four. If things go well, Abell forecasts that WAGES will be up to six cooperatives each with 50 or 60 members by 2011. Joel Schoening teaches sociology at Shippensburg U., PA.